We've got an easy way to get involved! Come #DOMOREGOOD by drinking beer! 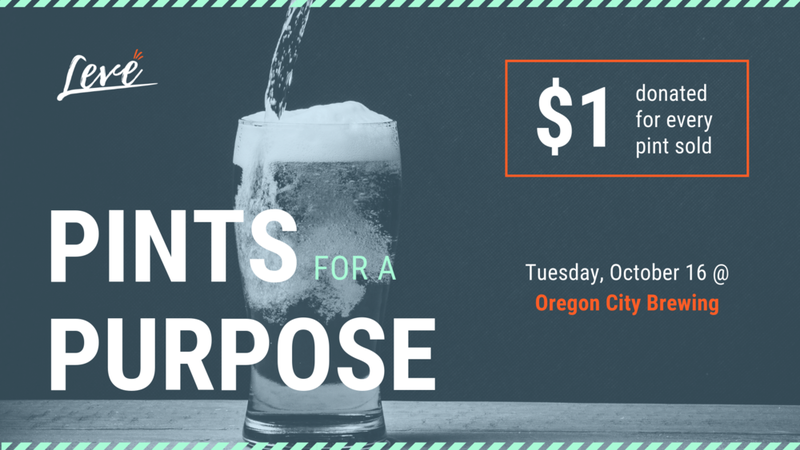 Oregon City Brewing will donate $1 to Levé for every pint sold all day. Grab your friends and come share a pint, or make a night of it with the fam and come for dinner. The Levé ladies will be there in the evening for a board meeting and we'd love cheers with you!